The debate about the security and integrity of digital information stored in the cloud has caused great concern in the use of so-called cloud services. Where are the information stored, and what laws apply? Who has access to it? Who actually owns the data stored in the cloud? Questions that everyone should be worried about. 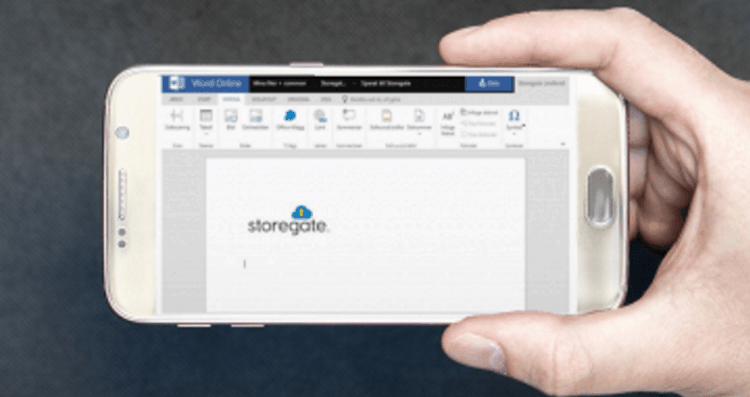 Storegate now answers by offering their customers a cloud guarantee. That Twitter and Facebook claim the right to use any material posted on their services, in the way they want, is generally known. The fact that Google use and store all information collected through their search engine to provide greater accuracy for advertisers, and more, are also quite well known. What few users realize is that US-based service providers need to comply under the Patriot Act and the Foreign Intelligence Surveillance Act giving a third party the right to take part of private information stored by consumers and businesses in theirs, so called, secure cloud services. 1. Storegate don’t use the information stored for any purpose other than to store it for our customers. 2. Customers retain ownership of all information stored in Storegates cloud service. 3. All information is stored in Sweden. – We have stored our clients’ information in data centers with highest security since 2003. Cloud guarantee is a way for us to talk about how it is like to be a customer of Storegate. There are no new conditions, this is how it has been all along. But for customers who not yet have chosen a secure cloud service for their digital information, it can be a deciding factor, especially when it comes to business customers, says Matz Karlsson. Billions of files are stored in Storegate’s system. Files that for many people are irreplaceable. It’s a big responsibility – one that Storegate takes very seriously. Consequently, all information is stored in the most professional environments. The data centers where the files are stored are rated maximum security in terms of intrusion, fire protection and power supply. All components of the system are doubled for reasons of fault tolerance. Backups are always made on two different media. The information stored is not accessible to anyone but the person who stored it and has the proper user ID and password. All Internet transfers are encrypted.